We’ve interviewed enough makeup artists at this point to stock our own makeup collections with their under-the-radar picks. There’s Kjaer Weis’s Cream Blush ($56), which Pati Dubroff clued us in on, or these eye gels, which Kayleen McAdams told us are great for cooling and de-puffing but that also have an eye shadow shield. Whenever we interview a makeup artist, we take copious notes—which is why when we start hearing about a product more than once, our ears perk up. Such is the case with these tiny cotton swabs from Japanese store Muji. So, imagine our surprise when Sir John—Beyoncé’s go-to and L’Oréal Paris’s celebrity makeup artist—showed up for a Byrdie shoot carrying those very same cotton swabs. He explained that he came across them when he worked with Charlotte Tilbury backstage at Etro in Milan six years ago, and since then has carried them with him in his kit wherever he goes. “I love them because of the precision they can give you—an MVP in my makeup toolkit,” he says. “Dip one in moisturizer, and it’s the best cleaner for lip lines—it’s definitely a trade secret behind the scenes on campaign shoots.” Celebrity makeup artist Jenna Menard (who currently works with Kerry Washington) swears by them too: “I use them as my cleanup tool!” she says. 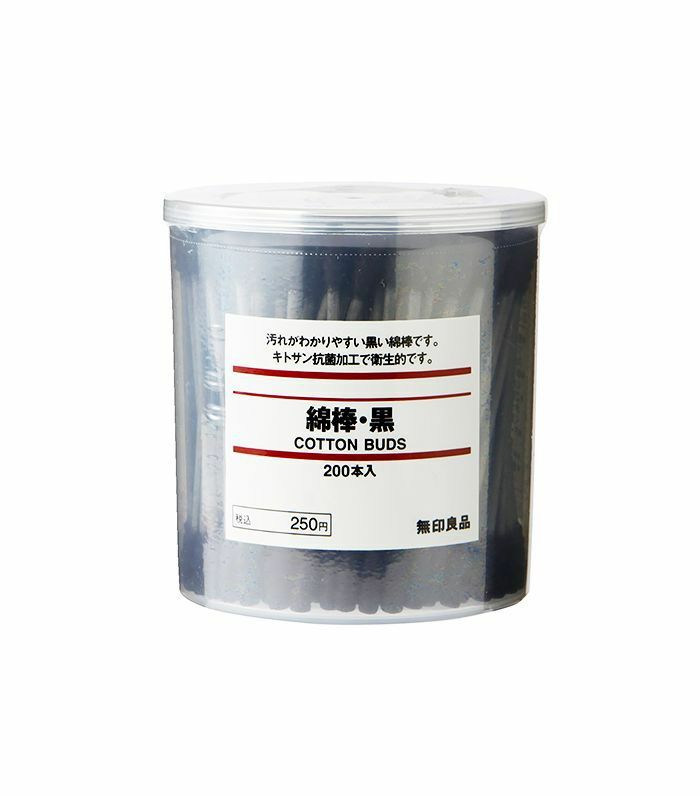 So what exactly sets these Japanese cotton swabs apart from their generic, round-tipped counterparts? According to Sir John, it’s the cotton—or rather, how tightly wound it is on each end of the stick. “They allow you to get a lot more precision over loose cotton or large swabs, which are great in their own way for cleaning up under the eyes or softening concealer,” he explains. “The smaller and harder the cotton tip gets, the better it is for sharpening the edges of lipstick or liner.” Menard agrees, saying the cotton tips won’t break apart when you use them. You can pick up this cheap beauty find at a Muji store if you live in New York or Los Angeles, or buy them online for just $7. Have you heard about these tiny cotton buds? Tell us below! And check out even more under-the-radar products makeup artists swear by.